This integration makes it easy to migrate data from Freshchat to Freshdesk. 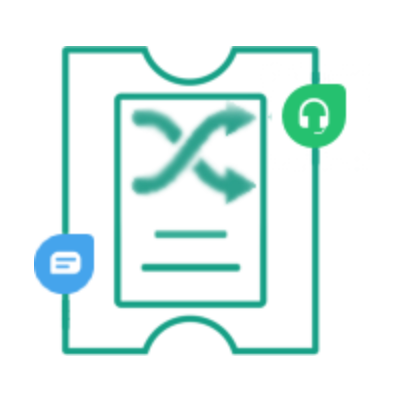 For example, if you want to sync the product name while creating a ticket from Freshchat or need to integrate the product name with one of the Freshdesk custom fields, that product field can be mapped to a custom field in the app settings. Once the app is fully set-up, you will be able to find the 'product name' in the 'custom ticket field'. This integration enables agents to work faster by pre-populating ticket fields in Freshdesk with data from Freshchat. Limitations: * App does not support dependent fields. * App works only with single line and dropdown fields. * Customers would need to create a custom single line field and also integrate account with freshchat for the app to work. Instruction: Fill in the mandatory field to install the app Freshdesk API Detail: Account URL: Enter the Hosting URL which is present in the Freshdesk account URL Ex: https://domain.freshdesk.com API key: Enter the Freshdesk API key, Here's how you can retrieve your API key: Login to your Freshdesk Account Click on your profile picture icon on the top right corner and select Profile Settings On the right pane, you will find the API Key Copy-paste this as required to authenticate third-party solutions Once the Fresdesk API details are entered, you will be able to set up your preferred app settings.